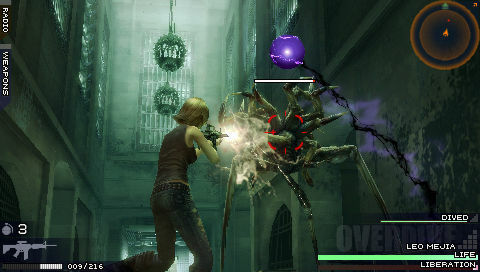 The 3rd Birthday is the third game in the Parasite Eve series, I’ve already reviewed Parasite Eve 1, and Parasite Eve 2, so I thought I might as well finish off the trilogy, continue on to the review of this PSP game. This series has changed a lot through each sequel. 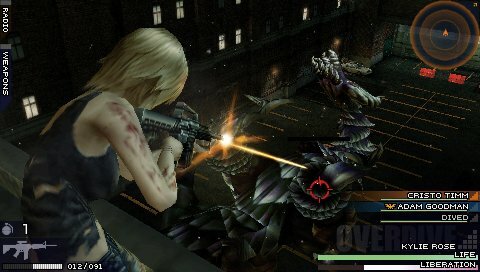 The first game was a mostly straight forward RPG with some cool shooting elements, the second game was a Resident Evil style shooter, this third game in the series is different still, a 3rd person shooter with some light RPG elements. 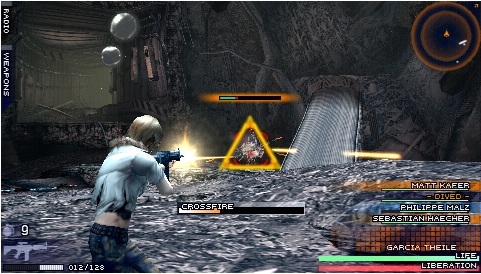 The most innovative part of the game is a body jumping mechanic, which does something completely new. The body jumping works sort of cruelly on the part of other soldiers. You switch between these other soldiers fighting against a mutated enemy called the twisted (I’ll speak more about that in the Story part of this review). So you take over their bodies and if you health has been exhausted you just switch to another soldier while your old “husk” dies. Other than that cruelty it’s actually a pretty interesting mechanic, it was done a few times before but never as well as in the 3rd Birthday. The shooting mechanic works well enough, especially if you’re playing the game on the Vita (the dual analogue sticks really help). It is a little repetitive though. Eventually you’ll get a cramp in your trigger finger. But there are a few things that make it a little different. There are some light squad controls where you can order your fellow soldiers to take on a target with you for instance, but you can really become them all with a quick switch, so if they aren’t in the correct spot (like not standing behind cover), you can jump into their bodies and get them back into place. 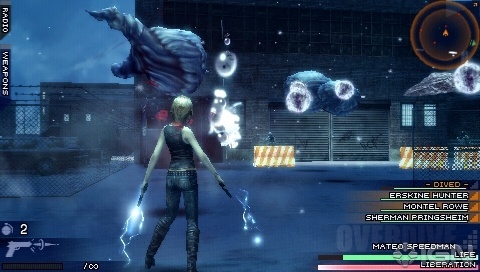 There’s a more magical/biological aspect to the gameplay as well, the overdrive mechanics, in this way you can jump into enemies to deal more damage, and if you build up a special meter you can go into “overdrive mode” where you deal a way more damage and your speed is upped for a short period. 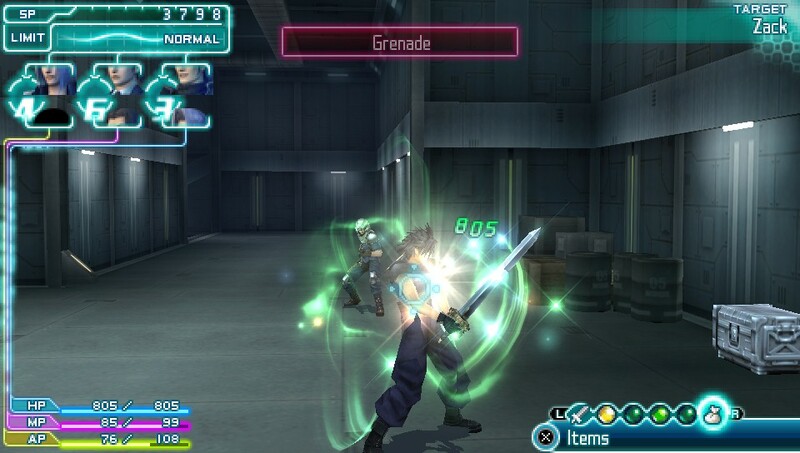 The RPG elements are limited to upgrading your weapons and your DNA, you get new DNA pieces by diving into enemies through the overdrive mechanic. Upgrading your weapons are a must, starting out with only 180 bullets in your assault rifle puts your in a tough place, and eventually I ended up with being able to hold 900 at a time. The DNA upgrades were always a bit of a mystery for me though, the game doesn’t do a good job at teaching you what you need to do to take proper advantage. You can take a look at some online guides… but that’s really a detriment to the game. Gameplay over all is decent enough, but every area is a grind, and other than a few new weapons and some light RPG elements, the gameplay stays the same throughout, making it tedious by the end. This game is actually gorgeous, it’s a PSP game but being released late in the cycle means that the game was really well optimized. 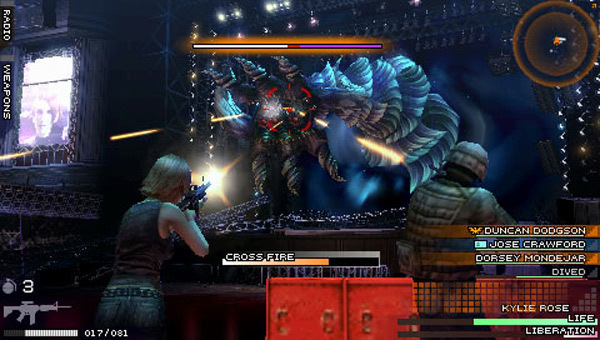 Everything flows really well on screen even with a lot of enemies (and friendlies) on screen. The particle effects are actually pretty spectacular. The twisted are well designed, and their animations are pretty well done. Square Enix actually did a great job on the production side of all their PSP games, and the 3rd Birthday is no different. The music is done well, and the pre-rendered cutscenes are just as good as any game on a home console. The art style in the 3rd Birthday is pretty interesting as well, there are numerous types of “Twisted” that show a decent amount of imagination. 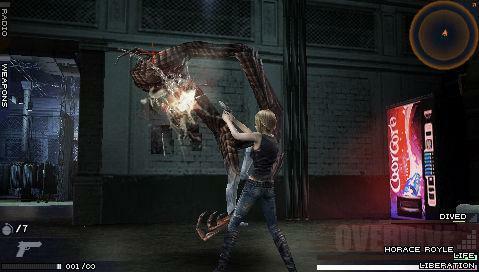 Overall the graphics in this game are excellent for a PSP game, and it looks even better on the Vita’s OLED screen. Usually I put the story aspect at the start of the review, but this game deserves a special mention on story. The game starts with the Twisted attacking New York, and the humans lose. You spend your time going back in time inhabiting people’s bodies to change history. After every mission history is altered, so perhaps you get a new character who survived, they come back to life and wonder why you’re acting so strange. This is interesting enough, even if it takes a bit of time to get used to. Every mission ends with a huge boss battle, some of which are pretty tough, and you actually need to think out a decent strategy before you proceed. You continue doing this right up until some of the final missions. At this point you’re looking for answers as to what happened, why your character had lost her memory, etc. No matter what you think you’re going to get with the final act you’ll be disappointed. Out of almost any game I’ve played in the past few years, this game has the most disappointing and convoluted story. It seems like at one part they just fired the writers and just had the interns finish up the story. It might sound like a bit of a stretch, but you have to believe me on this one. 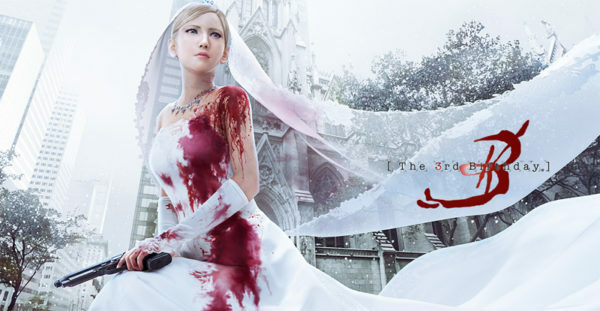 Also the characters in the game are mostly new (except two) and because they lost the rights to continue the original story (it started out as a Japanese novel), the ones that have stuck around, Aya Brea and Maeda are completely different. Aya changed from being a strong independent female to becoming an over sexualized and constantly victimized amnesiac. Maeda the Japanese scientist who helped out Aya in the other games has now become some sort of pervert who sends Aya creepy messages over radio. It’s just a tough sell to anyone that has played the other games in the series, and anyone who wants their game stories to make any sense. Even the translation of the script is badly done, I mean the voice acting is fine, but even the best actors couldn’t have made this story worthwhile. Is the 3rd Birthday worth it? Overall I would say no, the graphics and production values are top notch, the gameplay is decent too but it gets a little repetitive. The deal breaker is the story. It’s too bad that all the great production values were spent on this flawed story. Who knows if they’ll be another game in the series, but considering that they lost the rights to continue the original story, and they made their lead characters into one dimensional tropes, there’s no real reason to hope for another.